There since 1998, the plaques along Library Way have been kept bright by sixteen years’ worth of pounding feet. Described on the library’s own blog as ‘a celebration of the world’s great literature’, there’s a broad range of authors and poets represented. 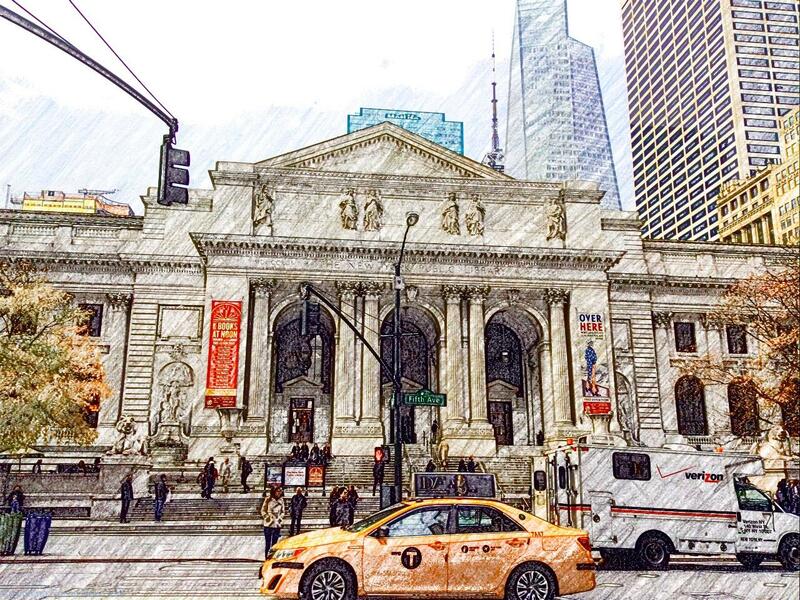 Lewis Carrol, Pablo Picasso, Thomas Jefferson, Samuel Beckett, Tom Stoppard, Virginia Woolf. One artist, Greg LeFevre, designed them all. 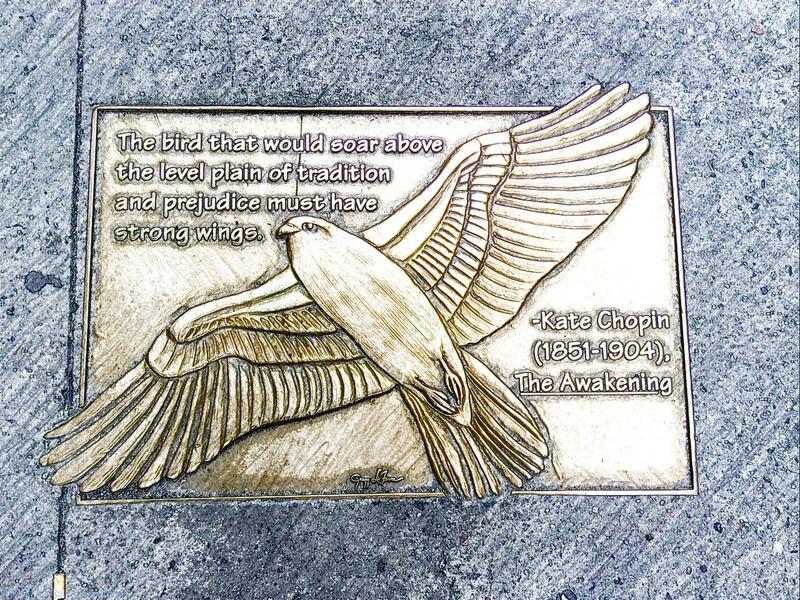 The first to catch my eye was a beautiful bird depicting a quote from Kate Chopin’s The Awakening; ‘The bird that would soar above the level plain of tradition and prejudice must have strong wings’. Immediately stopped dead in my tracks, causing a minor collision with the people behind me. Then proceeded to slowly work my way up the street and down the other side, fastidiously photographing each plaque. Other pedestrians then paused to see what I was studying, and slowed their pace to read them too. Smiled when reached one by William Butler Yeats, as I always think of that line from Educating Rita: “Do you know Yeats?” “The wine lodge?” Low brow, I know. High: Watching the city prepare for ‘the holiday season’ (that’s Christmas to the rest of us), with ice rinks, Christmas trees and twinkling lights appearing by the day. Interesting to see great big branches being nailed to the trunk of South Street Sea Port’s tree in order to fill it out. It’s enormous, surely on a par with Trafalgar Square’s tree. The kids enjoyed watching a team of men on a crane go up to start wrapping the tree in fairy lights. Low: T’s accent has finally started to slip. She said “mask” with a long a-is-for-apple vowel sound, and told me that something or other was “super-awesome”. Sigh.